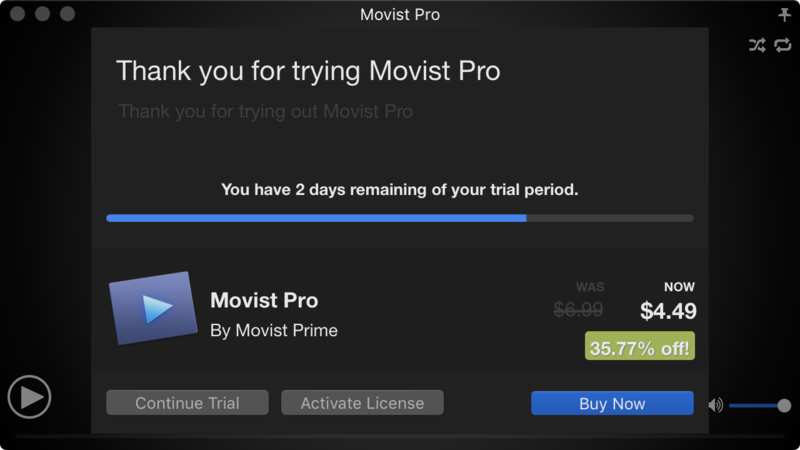 Download the latest version of Movie Pro from HERE. Do not panic at the introduction window. 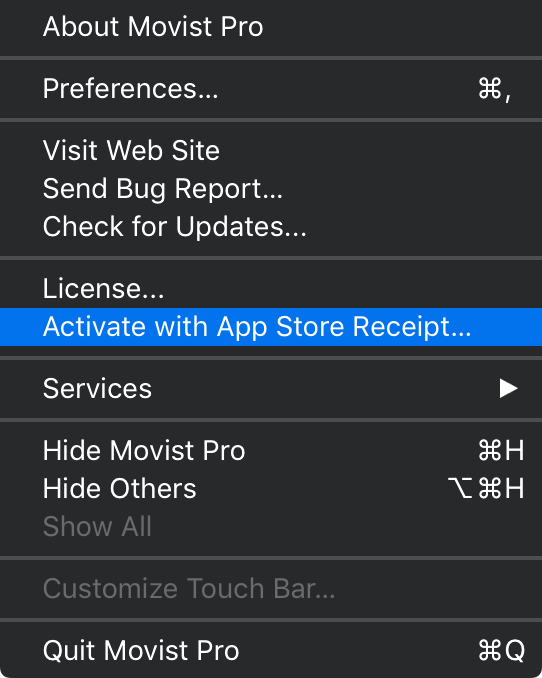 Select Activate with App Store Receipt... from the Movist Pro menu. Select Movie.app in the /Applications folder. * This activatation method is temporary and, and we are preparing for a permanent license for you.